Next month, our customers will be able to enjoy a new way to send Gift Cards to family and friends. 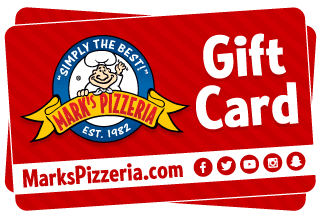 In the meantime, please purchase your next Gift Card at your local Mark's Pizzeria. Thank you!